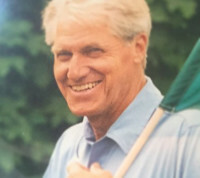 Bob Silver was a dedicated volunteer for GRAAF, Rochester Area Community Foundation, Boys and Girls Club and other organizations – he “retired” from his work with GRAAF upon turning 90, but continued to serve as a member of the Board and a trusted advisor until his passing. He worked tiredlessly to raise money for the Rochester NY area athletes. 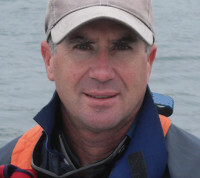 Mike is on the coaching staff of the US Olympic Sailing Team. He coached the US Paralympic Team to a Silver Medal at the 2016 Rio games. He was a local Olympic hopeful and GRAAF grant recipient and has been to the Olympic Games as a training partner for the 1992 Silver Medalist. Mike has a technical and business background. Other nonprofit interests include being a Trustee at Kiva.org . He has been on the board of GRAAF since 2001.
with extensive fundraising and corporate social responsibility experience with Getinge USA, the American division of a global healthcare and medical equipment corporation. She has volunteered with GRAAF for over 20 years. Johnny is the current Head Coach of the Bristol Mountain Freestyle Ski Team with over 25 years of coaching experience. 5 alumni of his program are on the 2017 US Ski Team, all with their sights on the 2018 Winter Games in Korea. He is a level III USSA Inverted Aerial coach and the 2015 USSA Freestyle Domestic National Coach of the Year. In addition to coaching Johnny also is a voting member of the USSA Eastern Freestyle Competition Committee and serves on the National Aerial subcommittee. Bob Balk sees a definite transfer of skills between sports and business. highest level work extremely hard to complement their “natural” talent. “Life requires hard work and you usually reap what you sow”. 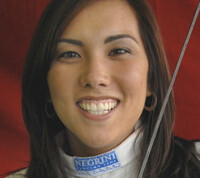 Iris is best known for setting records in the sport of fencing. Not only was she was the first US fencer to win a world championship medal, she was also the youngest ever to win that medal and the youngest to win a national championship. Throughout her career, she received grants from GRAAF that made it possible for her to achieve her goals. In 2000, Iris made the Olympic team with her sister Felicia Zimmermann and together they were two points shy of winning the bronze medal for the United States. After two more runs at the Olympics and graduating from Stanford University and Simon Business School, Iris is now a co-owner (since 2009) and fencing coach at the Rochester Fencing Club. 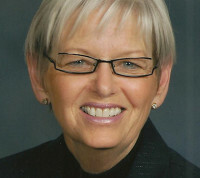 Carla is a SUNY Geneseo graduate, retired from public service where she was involved in public relations, special projects and events coordination, EEO, quality, and emergency management. Has Volunteer in her community for over 30 years including with Boy Scouts of America, USATF Niagara Association, Our School, Pieters Family Life Center, United Way of Greater Rochester, and St. John Fisher College. 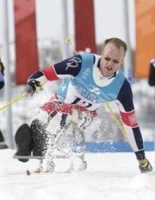 GRAAF is a 501C3 nonprofit that gives grants to amateur Olympic and Paralympic hopefuls in the greater Rochester, NY area. national hero deserves a chance to compete at the highest levels. If you are inspired by our vision we encourage you to take action today. support the childhood hero of the future. Amateur athletes need your help to have a chance at gold. pay for their own expenses which can be $20k per year for 4-5 years. 100% of your donations go to support the Athletes.